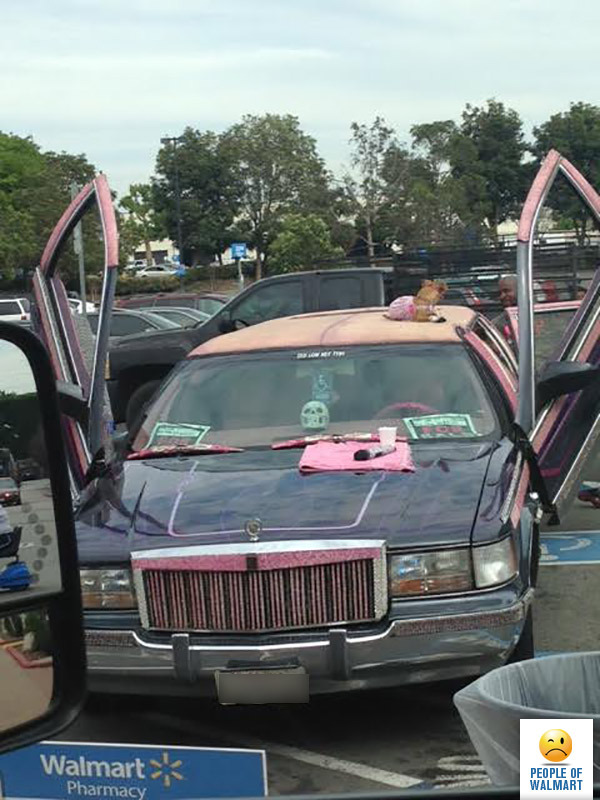 I’m not quite sure what this Cadillac creature is, why there is a chihuahua chilling on top or why it’s parking lot pimpin’ at Walmart. But I do know it’s for sale for anybody out there that does know what’s going on. 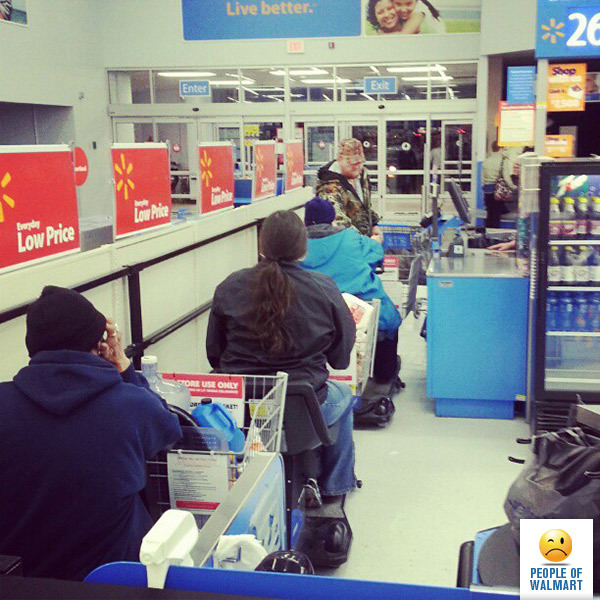 C’mon and ride the…Walmart train! Choo! Choo! 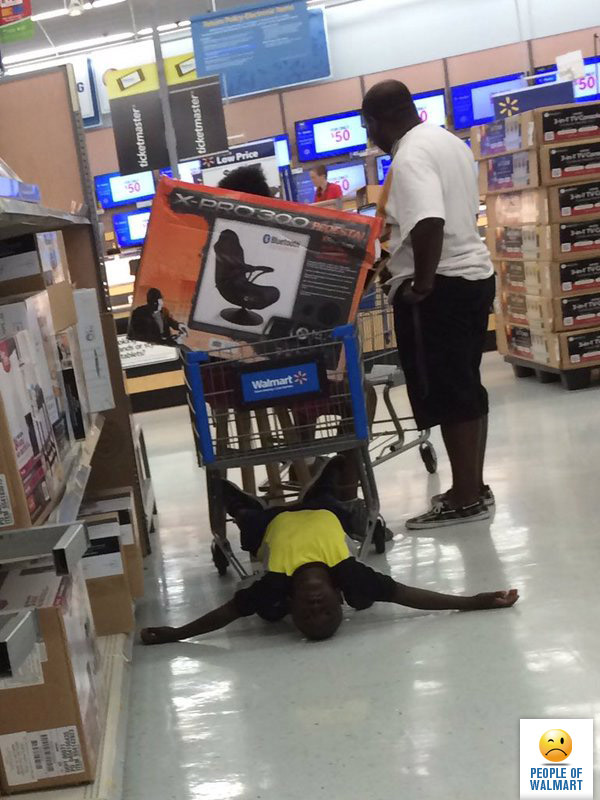 My man worked in a full swan dive during his expression of how much he loves Walmart shopping. Impressive young man. 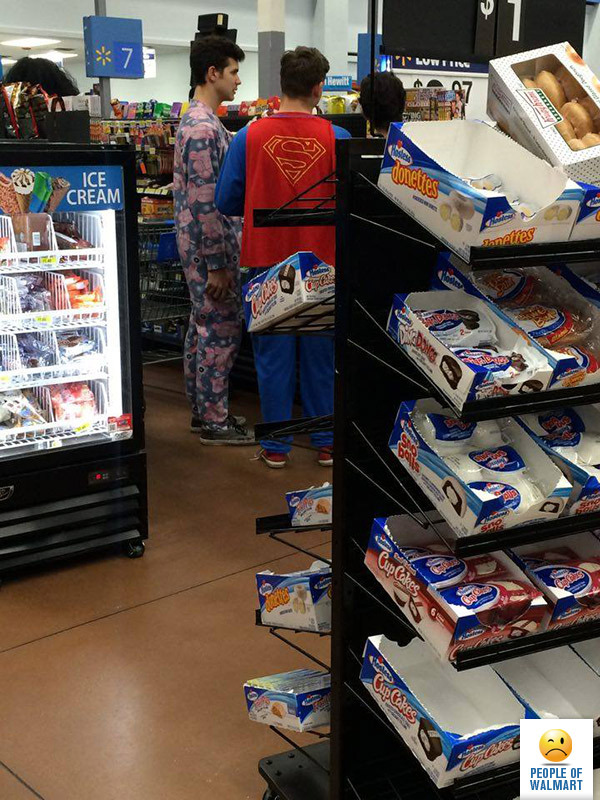 Probably beating the chicks off with sticks…or laser eyes in Superman’s case.